The year is off to a great start, and spring isn’t too far away. While we love the winter and all that it brings, we can’t wait to see what spring has in store. Let us start off your spring right with some sunny moments from behind the scenes at Bright Health: February. It’s an honor to be included as part of the great tech scene in Minneapolis, with companies that do great work. That’s why we’re proud to be part of the Tech Tribune’s list of 10 Best Tech Startups in Minneapolis! When compiling the list, the Tech Tribune evaluated revenue potential, leadership team, brand/product traction, and competitive landscape. You can read the full article here . Cardiovascular disease in the United States kills approximately one woman every 80 seconds. About 80 percent of cardiac events may be prevented with the proper education and lifestyle changes – Go Red For Woman Day seeks to draw awareness to this circumstance. 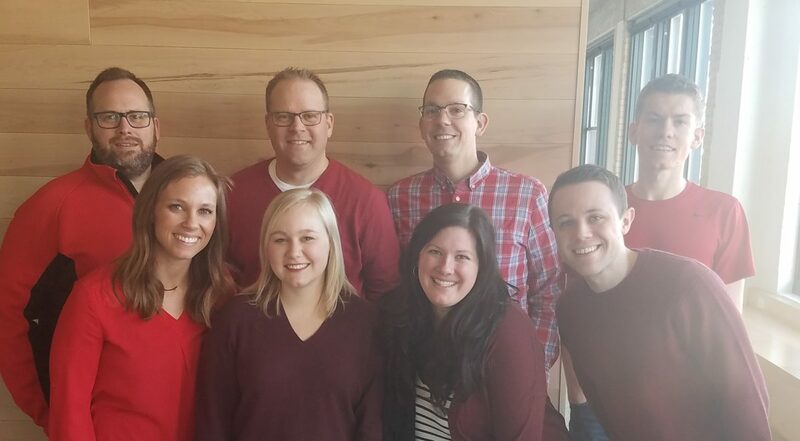 Several members of our Bright Health team wore red on February 2nd for Go Red For Woman Day, and we couldn’t be prouder! Read up on how you can be proactive about heart health on our blog. Bright Health is hiring! We’re always on the lookout for talented individuals who are committed to being better at better. If you’re ready to make a difference as part of a team, you can check the list of our available positions here . We’re still prepping for HLTH 2018 in Las Vegas! If the latest trends in healthcare are of interest to you, join the conversation! Bright Health is excited to contribute to a dialogue on innovation. More details on the event can be found here . On May 12th, Bright Health will be participating at the Salute to Creative Aging at the Colorado Convention Center. We’ll have representatives there to answer all of your health coverage questions.